Our STAMP (Short Term Adult Missions Program) goal is to provide adults with an opportunity to serve people around the world in the context of a one- to two-week trip. STAMP projects have included construction, medical clinics, kids' programs, evangelism, and teaching English. 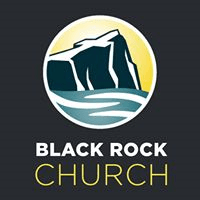 Black Rock STAMP teams have served in over 20 different areas of the world, including Nigeria, Panama, Ghana, Thailand, Dominican Republic/Haiti, Rwanda and Bridgeport. Join us for a 2-day event, where we will explore different women in the Bible in a way that captures our hearts to better see ourselves as God sees us. And, through their stories, we will better understand our own stories. The cost of $85 includes lunch, snacks, materials and more. Registration is now open and will close May 5.